The South Dakota Law Enforcement Training Academy graduated 44 officers from across the state. 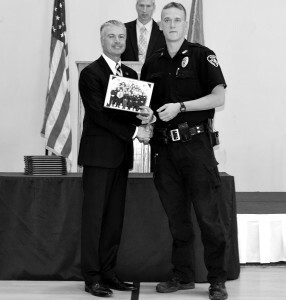 Kyle Swedland of the Winner Police Department was among the graduating class and is pictured with South Dakota Attorney General Marty Jackley. All graduates of the basic course must complete a 13 week program. The basic certification course is overseen by the South Dakota Law Enforcement Training Academy under the Office of the Attorney General.